On July 15th, Resolute announced its membership in the Carbon Pricing Leadership Coalition (CPLC) at an event hosted by Canada’s Minister of Environment and Climate Change, the Honourable Catherine McKenna, and the Governor of the Bank of England, Mark Carney. 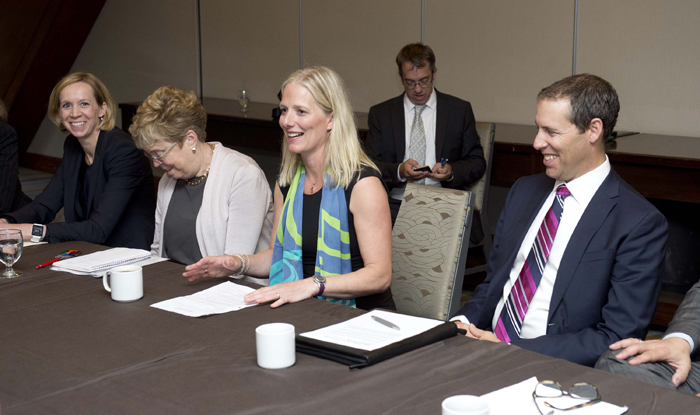 We are pleased to join the CPLC, a voluntary global partnership that brings together leaders across national and sub-national governments, the private sector, and civil society to help address climate change through putting a price on carbon. The CPLC is also a key aspect of Canada’s contribution to meeting the international carbon pricing commitment launched at the 2015 United Nations Climate Change Conference (COP21) in Paris. Resolute operates in an energy-intensive industry, and we have long recognized the importance of reducing our carbon footprint and transparently reporting on our greenhouse gas (GHG) emissions. We are pleased to be one of the first Canadian companies to become a member of the CPLC. To illustrate our carbon reductions, please view the attached infographic. As a CPLC member, Resolute will gain a new forum to highlight carbon reduction accomplishments and will have opportunities to help Canada develop a successful carbon pricing program by sharing lessons learned and engaging with government policymakers that will design the system, along with participants from other companies and industries.